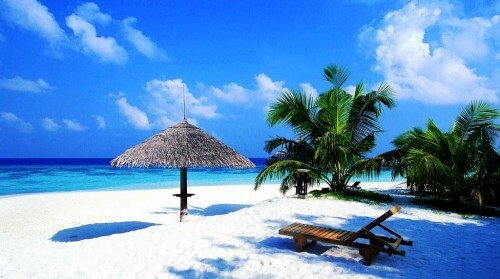 Last minute flights to Dominican Republic: only €313! UPDATE 18.10.: last minute flight from London to Puerto Plata in Dominican Republic now available for €313 / 249 GBP! Only one date: 26.10.-12.11. Book here, check screenshot. 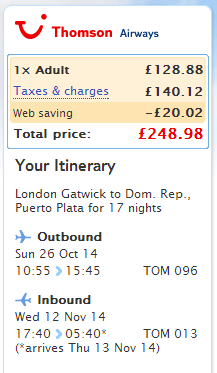 Return flights from London Gatwick and Manchester to Punta Cana are now available for just €313 / 249 GBP! This price includes 5 kg cabin luggage, you can purchase 20 kg suitace for 75 GBP extra. We recommend to split it among 2 passengers to keep the price low. 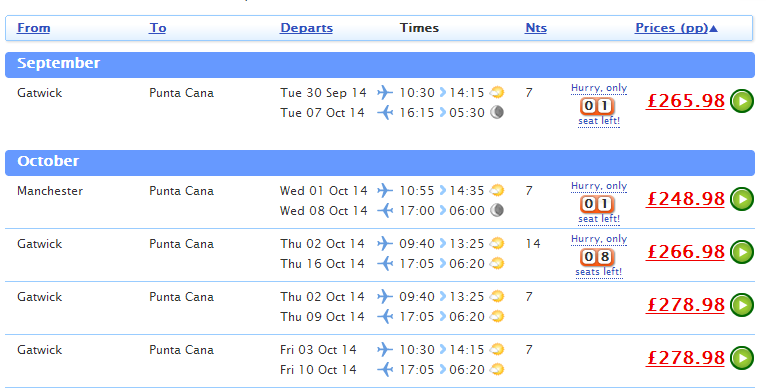 Cheapest departure is on 1st October from Manchester. This city is well connected through Ryanair, Easyjet or Jet2 low cost airlines with whole Europe. « Cheap flights to Morocco: Marrakech from London for only £39!